Granite countertops in kitchens, break rooms and baths are a wonderful addition to your office spaces. Tough, durable and beautiful, this material is great for a professional and quality appearance. Granite is probably one of the most durable types of countertop available. The speckled look comes from the minerals that granite is composed of. However, granite can require care in order to maintain its lovely appearance. Anything which contains a high level of acidity is important to remove immediately if it gets on the counter. This includes soft drinks, alcohol, orange juice and such. 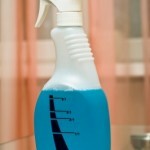 Use a cloth to remove the liquid and then use a damp cloth to get up any residue. Granite is not always able to absorb all the heat from hot dishes set on the counter. Using trivets or hot pads will keep the harmful heat away from the granite countertop. You should avoid any potential damage by not putting extra weight on the edges of the granite countertops. This includes holding the edges for balancing, climbing up on the counter to reach high cabinets and placing heavy boxes on the edge. Conventional cleaning products often contain a high acidity and chemicals that can damage granite. Use mild detergents or dish soap to clean counters made from granite. Granite is beautiful indeed and gives the business environment extra class and professionalism. You can care for and maintain granite countertops when you follow the above tips and hire a cleaning service company who is a pro at handling granite counters. Thanks for the informative blog. Keep writing more blogs so i can get more information from your blogs.